In today’s competitive environment and challenging economic times, the demand to produce more with less is constantly increasing. Managers must monitor and justify every investment they make. They must also make every effort to ensure each project succeeds and produces measurable benefits to the organization. Managers may see training as a way to reduce cost. It may look good up front but lack of proper training will likely cost more in the end by reducing project effectiveness, increased errors, wasted time and more. Various research studies have revealed a close correlation between team member skills and project success. Our dedicated professional staff of Subject Matter Experts (SME) at Quality-One can provide the proper training resources to help ensure your projects succeed. 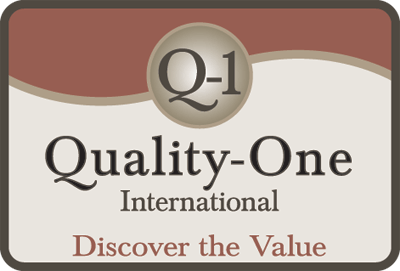 At Quality One we offer three types of training. There is sure to be one that fits your organization’s needs. When you select 5 Why / 5 How Onsite Training, one of our experienced SMEs will come to your facility. This method of training is often more convenient for scheduling and can provide additional value by enabling your personnel to participate in the training together, as a team. Onsite training has proven to be a cost effective option for organizations that have multiple team members that require training. The expenses are generally less compared to having your entire team travel. 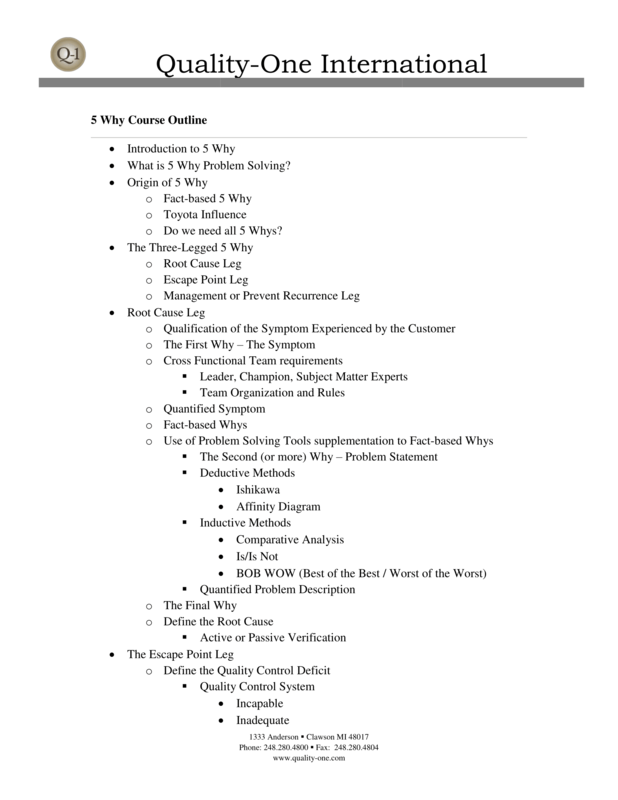 Onsite training can provide a positive impact on the success of your company’s 5 Why and 5 How implementation process. At Quality-One, we have Technical Training Centers available for offsite training in several convenient locations. The 5 Why / 5 How Offsite Training option is most beneficial to companies with less than five associates that require a working knowledge of 5 Why and 5 How methodologies. Our training facilities provide the participants an opportunity to escape the distractions and interruptions of daily work activities and concentrate on learning. In addition, the offsite environment allows for increased knowledge transfer and encourages participation. The offsite training experience can provide opportunities for participants to share knowledge and experiences from various. The atmosphere promotes the sharing of different viewpoints from participants from diverse backgrounds and disciplines. In addition, best practices from one industry are often shared to the benefit of another. This professional interaction tends to maintain interest and promote a higher level of participation. The Quality-One 5 Why and 5 How Online Overview includes interactive audio, video, animation and downloadable reference materials. The online module available from Quality-One provides the participant an introduction to 5 Why and 5 How methodology. This online overview is ideal for someone new to 5 Why / 5 How or for a subject matter review. The course is self-paced and provides immediate access to the course content. In addition, the information is available 24 hours a day, 7 days a week. The participant will have 30 days to complete the course and may access it as often as desired.